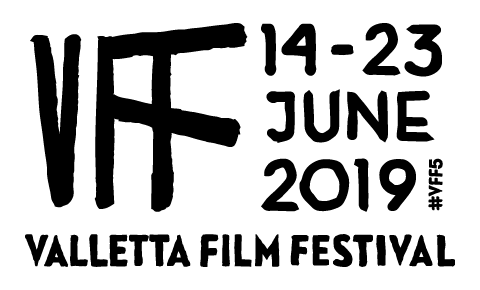 Sergio Castellitto’s Fortunata had its world premiere at Cannes Film Festival this year and opened the Valletta Film Festival shortly afterwards. Jasmine Trinca, who plays the eponymous role, was awarded the title of best actress for her performance in the film by the jury of Un Certain Regard at Cannes Film Festival this year. Trinca plays Fortunata as a real tour de force, who struggles against the odds after the breakdown of her marriage. From holding onto her daughter, played by the brilliantly resilient Nicole Centanni, to finding love despite the persistence of her aggressive, soon-to-be ex-husband, played by Edoardo Pesce, her fight is ongoing. She dreams of running her own hair salon with her childhood friend, Chicano, played by Alessandro Borghi, but their dreams are entangled with far darker realities that leave dreams and reality at a constant distance. Chicano suffers from bipolar and drug addiction and lives with his aging mother, a former actress who suffers from Alzheimer’s disease, who is played by the German icon Hannah Schygulla. Just as his mother is unable to break out of the repetitive cycle of reciting lines from Antigone, Chicano is also unable to stop his drug consumption. His temperament swings precariously between euphoric highs and devastating plunges, leaving us with a portrayal of a man who is steadily losing control. Fortunata is also desperately trying to cling on to any control she still has. However, as she sees herself repetitively subjected to sexual assault by her husband and fearfully listens to her daughter’s threats to leave and live with her father, she feels her power considerably diminished. When her daughter begins visiting a psychologist to help her deal with her parents’ separation and some behavioural problems she is currently experiencing, Fortunata once again tries to seize control by completing her daughter’s tasks for her psychology sessions. When her daughter is unable to make her appointment one day, Fortunata turns up instead and gradually over time a love blossoms between the psychologist and the hairdresser as they come to realise that they are able to remedy each other’s loneliness. Fortunata takes us on an incredible journey bringing real, gritty characters to the screen in an artistic, aesthetically rich manner. The inclusion of the colour blue is prominent throughout, be it in the sky, the sea, the water wall in the hair salon or Fortunata’s attire. This reminds us of the importance of water in the film, an element which can be both fatal and life-giving, which takes us straight to the heart of the film’s message: what we need can also hurt us, what we need can even kill us. Chicano’s mother’s bouts of occasional memory, which give her life momentary meaning also give her insight into the desolation of her mind, Chicano’s drug addiction fuels him but is slowly killing him and Fortunata’s love for her daughter’s psychologist gives her life new meaning but brings her further from her daughter. The phenomenal screenplay, written by Margaret Mazzantini. creates heart-warming moments of tenderness between mother and daughter, dramatic relationship breakdown and insights into the desolation of perturbed minds. Throughout the film, the individual is constantly juxtaposed with his or her settings, whether gazing out at the sea, standing high above a city on a weekend away, or scrambling up onto the roof to see the town below. The individual is repeatedly portrayed as searching for something more in the surrounding world, but as those longing stares reach out into the great expanse, the individual often seems to be in a struggle against the outside world. This film explores psychological truths, reaching into the depths of the individual, while also managing to plant seeds of hope in the intimacy of the relationships we are presented with – reminding us that despite appearances to the contrary, nobody is ever alone.